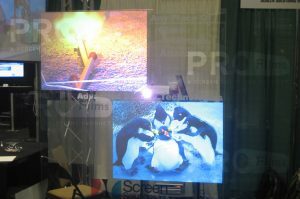 Accent Rear Projection Film is an ultra bright rear projection film. 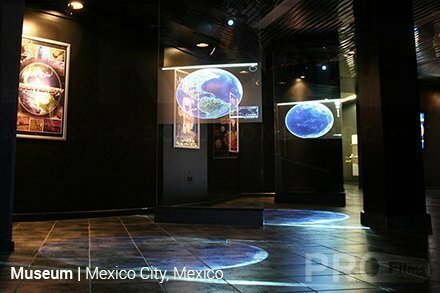 It can be used with a low lumen projector to yield ultra bright, high definition images. 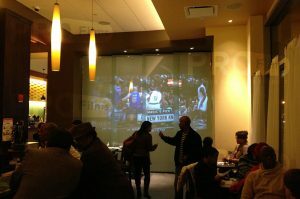 Accent rear projection film doesn’t require a specific projection angle, and is compatible with any make or model of projector. 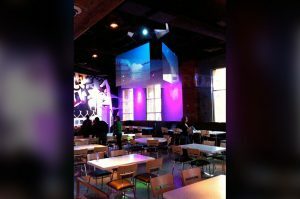 Accent is best used in a light controlled environment. 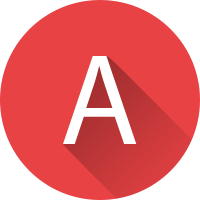 Accent can also be used when the window or glass is tinted. 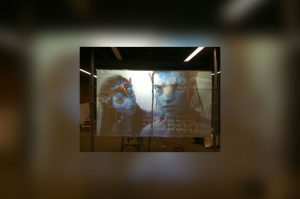 Accent Rear Projection Film’s ultra bright images, when combined with the right projection system, will shine through your tint and yield high contrast images where other projection films would fall short. 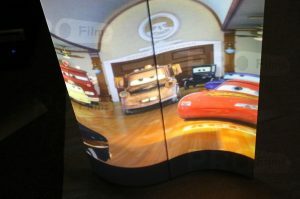 Definition Film is a high contrast, high definition rear projection film. 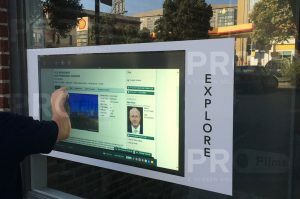 Definition can be used on any clear surface including glass, acrylic, and Plexiglas for a cutting edge, floating image display. 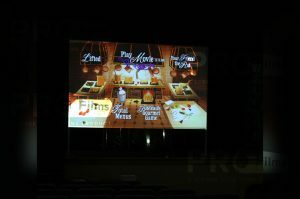 Definition rear projection film gives you the ability to use rear projection screens in virtually any lighting conditions. 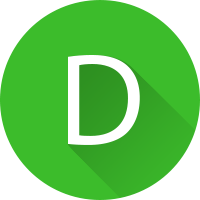 Definition is compatible with 99.9% of every projector make and model available. 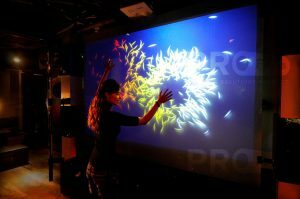 Definition Pro Rear Projection Film gives you amazingly deep HD images, wider viewing angles than other film, and is the latest in rear projection film technology. 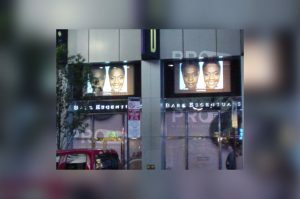 The enhanced contrast properties of this Definition PRO rear projection film provide richness of color on screen, and also aid in blocking ambient light from both sides of the film. 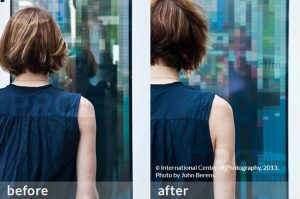 This helps your images to shine through in uncontrolled lighting situations. 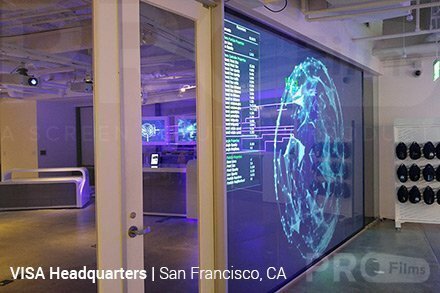 Intrigue Rear Projection Film can be applied to any clear surface including glass, acrylic, and Plexiglas for a cutting-edge display. 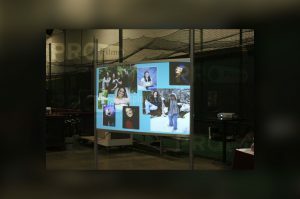 Intrigue offers a next generation look to any content; both full motion video and static images will float on your clear glass or acrylic to give you what many describe as a "holographic" look and feel to your content. 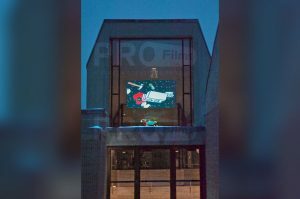 Intrigue rear projection films are best suited for controlled lighting conditions, or for shop windows that will be projected on from dusk to dawn. 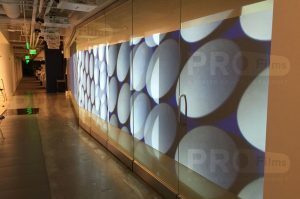 Intrigue projection film has been a top seller of ours for years because of the versatility and stopping power it adds to your display. 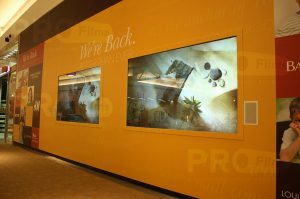 Going beyond the limitations of traditional front projection screens, the Reflection Front Film presents new options and possibilities for both home and professional display applications. 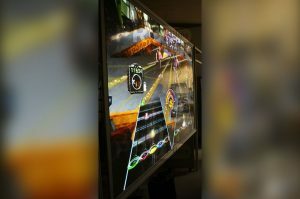 Reflection’s high contrast image quality and ability to open up new display areas is unmatched. 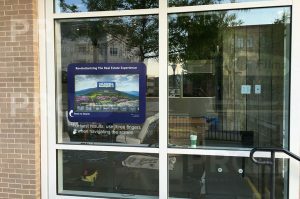 Reflection front film can be applied to any glass or acrylic surface to provide high-quality, floating images. 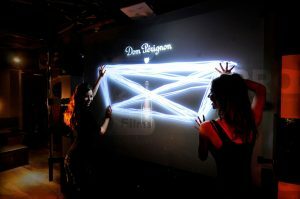 It will not hot spot, and its high contrast design gives you the ability to combat high ambient light environments. 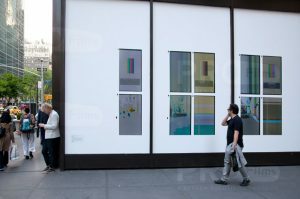 With large, seamless sizes and the ability to be tiled, Reflection film gives you new and unlimited possibilities. 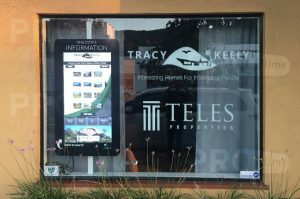 Anti Glare Film is placed on the outside or opposite side of the glass or acrylic than your rear projection film. 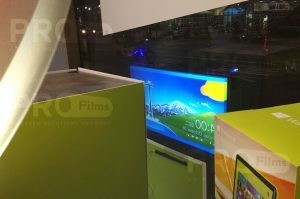 Anti Glare Film reduces glare and reflection from the front side surface of your display, increasing brightness, widening viewing angles and giving your viewing audience a brighter and more even viewing experience. 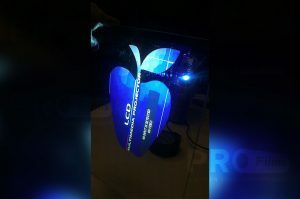 When using LCD, LED, or Plasma displays, the displays need to be as close as possible to the backside of the Anti Glare Film for best results. 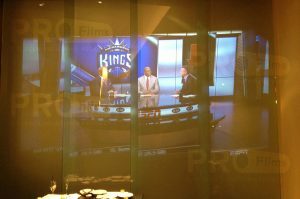 Anti Glare Film applies much like our rear projection films do. 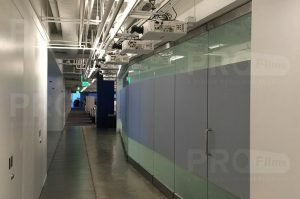 Pulling the release layer off the back of your Anti Glare Film exposes the built-in hi-tac adhesives that will keep your anti glare film affixed to your glass or acrylic surface for years to come. 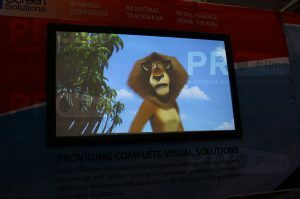 Click on a rear projection film product to learn more about it. 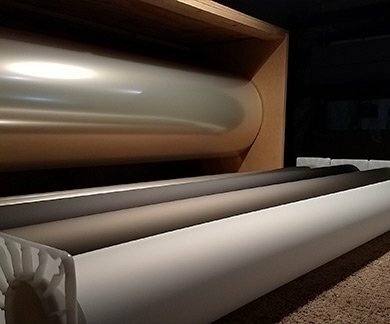 Purchase your projection film in one of our standard cut, ready-to-install sizes ranging from 35" to 122"*. 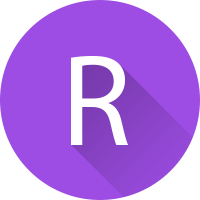 *Maximum cut size varies on some films. Custom sizes are available upon request, call 1-888-631-5880. 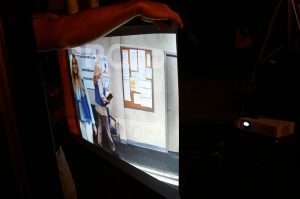 Purchase your projection film by the foot. By using this method, you choose how many linear feet of film you get by the maximum width of your chosen roll*. *Roll width varies depending on chosen film. Want to buy our film for wholesale? 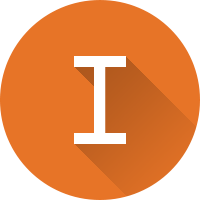 Make a wholesale request and tell us about yourself! 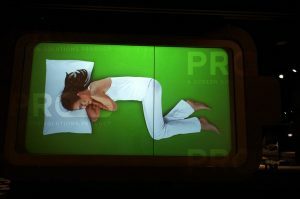 See our rear projection films in action. 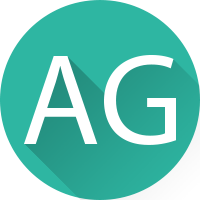 Learn a little bit about us and the products we offer! 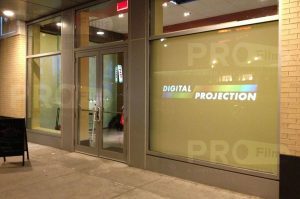 What is Rear Projection Film? 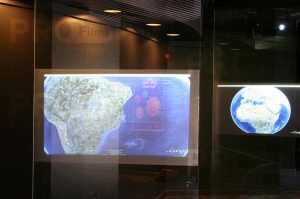 Rear projection films are paper-thin projection surfaces for installation on glass and acrylic surfaces. 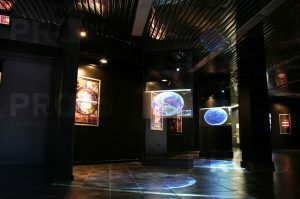 All of SSI's rear projection films are designed to be used with any projector, and come with an integrated application adhesive. 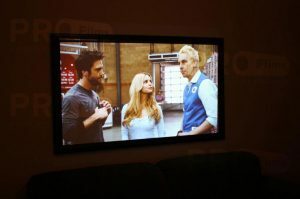 The unique composition of our films allow them to capture the majority of the projected light and make the most of your projector's brightness. 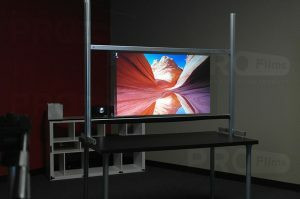 This provides bright, crisp HD images on your display surface that can immediately grab someone's attention. 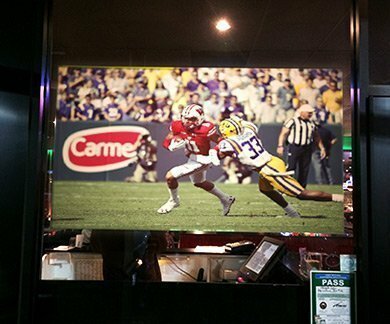 Do you want to draw customer attention by playing the latest ESPN news in your window? 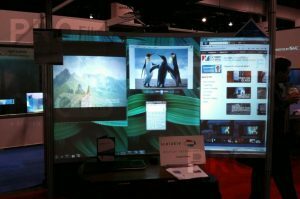 Are you planning on making a big splash at your local tradeshow? 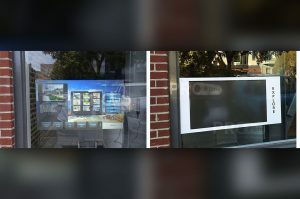 A quality rear projection film can give you an eye-catching solution to both of these problems, and we can get it to you at factory-direct pricing. 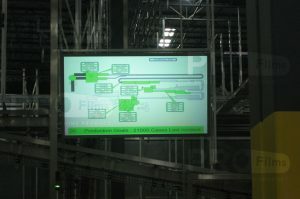 We are certain that our films will satisfy any digital signage need our customers have. If you don't believe us, try them out for yourself by getting a free sample pack. 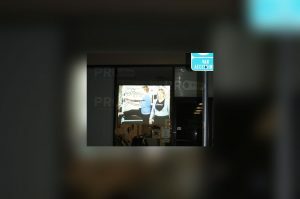 RearProjectionFilms.com is committed to ensuring that you get the right product for the right application, all at the right price. 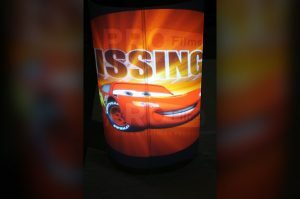 RearProjectionFilms.com is the premier online provider for the highest quality rear projection films available from Screen Solutions International (SSI). 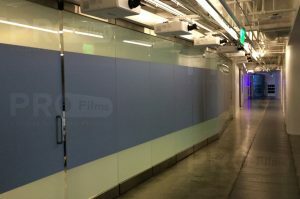 With a variety of film types at factory-direct pricing, you can find no better place to get the rear projection film you need. 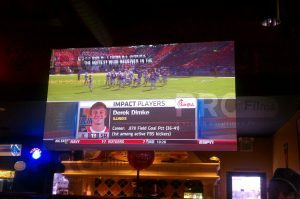 After years of selling rear projection films all over the world, Screen Solutions International has over a decade of experience. 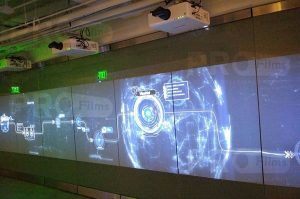 Our team can expertly specify films for projects, discuss product details, map out complete design plans, and provide real-world installation support. 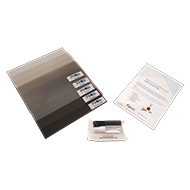 Our application kits make the installation process of rear projection films as effective as possible. 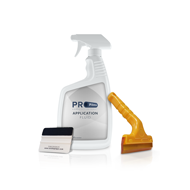 The right squeegee and application fluid will make all the difference in the world on your installation. 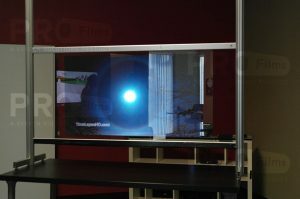 Tap on a projection film product below to learn more about it. 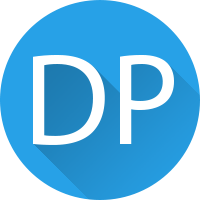 Click the link below to view our product page for more information on each film. 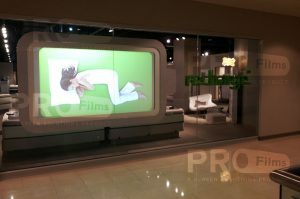 Purchase your projection film by the foot. 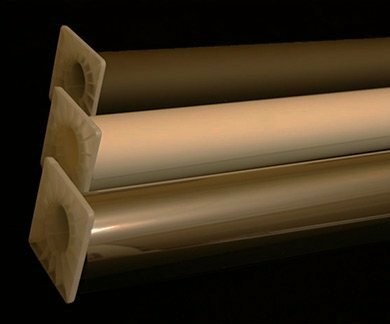 Choose how many linear feet of film you get by the maximum width of your chosen roll*. 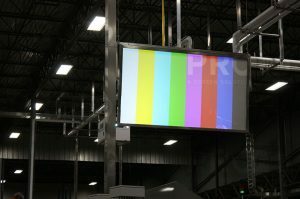 We are certain that our films will satisfy any digital signage need our customers have . If you don't believe us, try them out for yourself by getting a free sample pack. 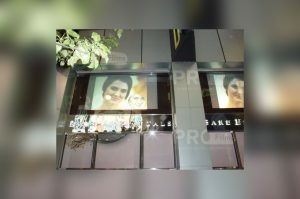 RearProjectionFilms.com is committed to ensuring that you get the right product for the right application, all at the right price.